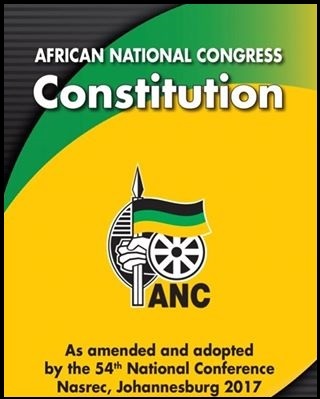 The African National Congress is the product of the people’s struggles and was founded to champion their cause in the fight against oppression, discrimination and all forms of segregation and be the voice of the people. We are under no illusion that leadership and public trust must be earned, through conduct listening, responding and hard work in order to champion the realisation of the aspirations of the people. Over the decades of struggle and after 1994, the people of South Africa mandated the ANC to lead the process of transforming our society. Since 1994, working with the people, we have worked hard to lay the foundations for a better life for all. We have in place the building blocks for a national democratic society, having dismantled the foundations of apartheid regime and removed the laws that legitimised the apartheid system. The last twenty-four years have been a period of critical milestones and achievements in improving the lives of ordinary South Africans. We have introduced safety nets in a form of social wage that includes support for access to housing, school feeding scheme for children, access to free health care for children under age of 7 years, free basic electricity and indigent policy, social grants, and expanding infrastructure to rural areas and townships. We also implemented measures aimed at growing the economy, creating jobs, as well as small business development, black economic empowerment and growing the middle class. This journey has not been without its fair share of challenges. Over the last few years the process of change and the pace of service delivery has not been as fast as we would have preferred due to a variety of reasons. We would be the first to admit that the ANC found itself mired by sins of incumbency, social distance from its social base, at times perceived as arrogant, and not always responsive to the challenges confronting our people. The reality of corruption and poor service delivery in some municipalities, departments of state and state-owned enterprises has not done us any favours. These have weakened service delivery and slowed down our forward momentum towards the realisation of a better life for all our people. 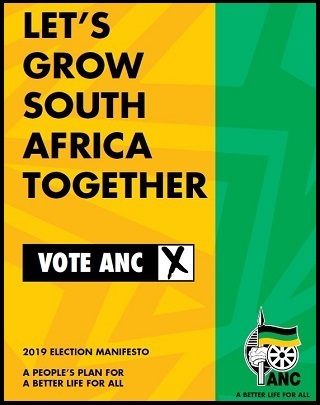 The ANC has learnt fundamental lessons over the last two and a half decades in government. Informed by our history of commitment to the people’s cause, our resolve to make this an era of renewal, unity and hope to accelerated service delivery has never been greater. Our experience in government has taught us hard lessons about the vigilance needed to stop creeping lawlessness, corruption and social distance taking root. We have heard the criticism of the citizenry about things that went wrong on our watch. We accept the criticism and are poised to keep the eye on the ball and advance our vision of a better life for all with greater urgency and vigour. Working with all sectors, we shall renew and strengthen state institutions and propel the economy towards a higher growth trajectory. The stimulus and recovery plan announced by President Ramaphosa and the Framework Agreement emerging out of the Jobs Summit sets us on course to realise the ambitious targets we have set for the country. The manifesto consultation processes commenced at St George’s hotel in Pretoria in June 2018 and extended to all Provinces engaging with various stakeholders across the spectrum. Out of these engagements the various stakeholders expressed confidence in the ANC, but were equally adamant that the ANC must be decisive in dealing with the negatives that have characterised the ANC recently. Young people have also spoken loudly and want to see the ANC infusing dynamism to its character, investing in innovation, human capital development and being responsive to their issues. We dare say, without fear of contradiction, that the march to a better South Africa is unstoppable. The road ahead will not be easy. Renewal will at times pose difficulties and there will be resistance to the fight against corruption. United in our diversity, together we shall realise the vision ‘to improve the quality of life of all citizens and free the potential of each person’. The 54th National Conference of the ANC urged us to renew our commitment to radical socio-economic transformation, so that we deepen the process of change. It focused on such priorities as changing the structure of the economy so that it includes all South Africans, land and agrarian reforms, a skills revolution, amongst other priorities. Our conference also entrusted us with the tasks of championing the issues women and youth. The empowerment of women, who constitute more than half of the population, means more cohesive and empowered families, communities and the nation. Young people, who are the majority of the population, must become the drivers of our transformation agenda. We must therefore ensure that they are educated and skilled, have access to technology and economic opportunities. They must be represented and have a voice in all aspects of our society, so that they aid our renewal as a nation and movement. The issue of experience for entry level jobs has been identified as an impediment to youth employment and we have made firm commitments to addressing this challenge. The process of developing our manifesto is underway and will, once again, be informed by the vision and aspirations of our people from all walks of life. As a leader of society, it is imperative that we heed the views of all South Africans beyond the membership of the ANC in order for us to realise a mandate that is truly representative of the will of the people. As we traverse the country this weekend and hold public manifesto forums, we call on all South Africans to participate in this process and guide us in crafting a manifesto that is poised to set us on a sustainable path towards eradicating poverty, pushing back unemployment and inequality. Over the weekend, we will be embarking on the next phase of the manifesto consultative forums in the form of town hall meetings under the theme ‘Engaging the People, People’s Manifesto, Winning the Trust of the People.’ This round of consultations is targeting ordinary South Africans from all walks of life. 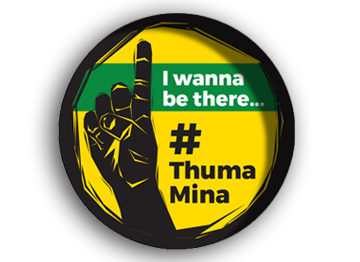 As part of this process, the ANC will deploy its leaders to all nine provinces to engage with the public in the development of the people’s manifesto.